Another week has just flown by! Thank you to all who came to the party last week! There were so many awesome links and well I kinda went crazy with highlights this week! ;) Please please please take word verification of your comments! I visited several posts from last weeks party and I will be honest if I don't get it right the first time I don't try for a second. Kristal from The Collected Nest shared her beautiful buffet and her equally beautiful home with us. Kristal just started blogging so be sure to stop by and welcome her! My Creatively Vintage Life shared this awesome mason jar project! 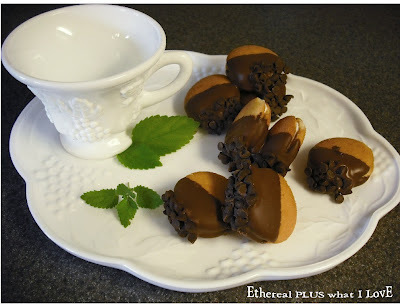 Etheral Plus shared these yummy smores snacks! I think they look like acorns so I am putting this idea in my fall folder! 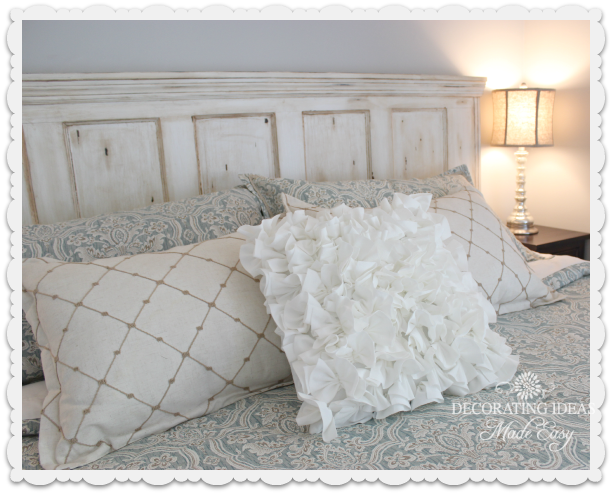 Decorating Ideas Made Easy invited us into her updated master! I just love her headboard made from an old door! 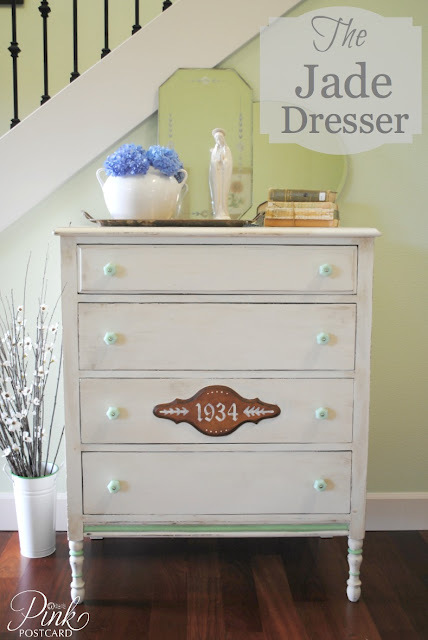 Denise from Pink Postcard shared this fabulous dresser make over! P.s. Next week there will be no THT because I am participating in Christmas In July! No worries though because you can stop by on Tuesday and link up to the CowGirl Up party! I get to help host it next week so I am super excited! Your link will appear on 8 different blogs! I linked up a tomato pie recipe. This Christmas in July sounds like a lot of fun! Thanks for hosting this party. This party is always so much fun! Thanks for hosting! you did have an awesome party last week - I am so happy that THT has grown so much for you! I knew that she would be in good hands. These are great features! I see two that I am definitely going to try. Good luck with Christmas in July, not that you will need it! Pamela, Thanks so much for hosting! I'm looking forward to Christmas in July next week!!! Very pretty features! Thanks for the great party! So much to fawn over here today. Thanks for sharing your space and your time with us by hosting the party! You're a sweet hostess. Thanks so much for the party! This is Melissa @ Daisy Mae Belle. Thanks for hosting this party! I am looking forward to the Christmas party! 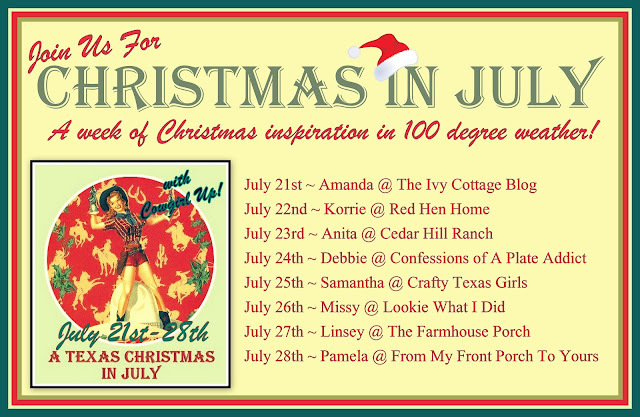 Hi Pamela, looking forward to the christmas in July link party. I'm placing the button on my side bar. Love the features and thsnks for hosting. Thanks so much for hosting, always a great party and great features! Thanks so much for this great link party...really looking forward to Xmas in July!!! Thank you so much for featuring my buffet. Tears came to my eyes when I saw it. The recognition means so much. Love your blog. 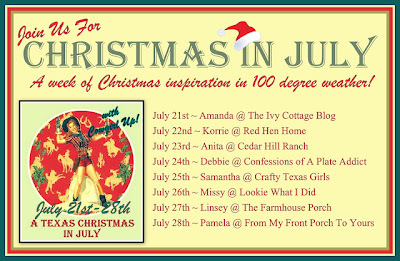 I look forward to being inspired with the Christmas in July party.